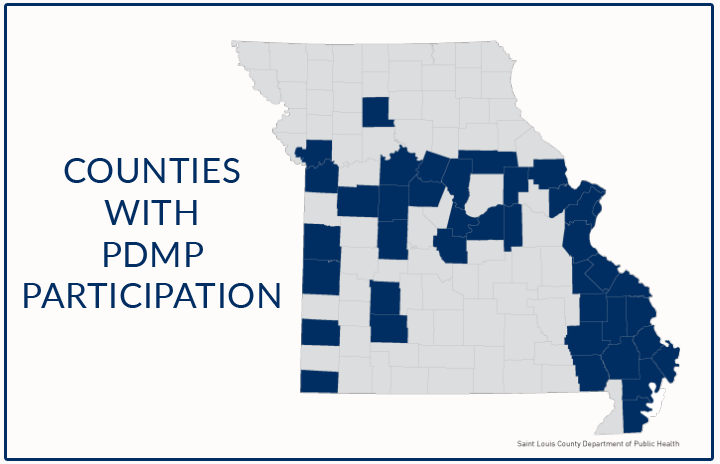 Missouri counties that currently have some level of participation in prescription drug monitoring program. 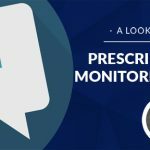 A year ago, I had the opportunity to write a blog about prescription drug monitoring programs (PDMPs) and the regional efforts that we hoped would come to fruition in 2017. I am pleased to be able to write a new entry this year, that celebrates the work being done in Jackson County and 35 other counties in Missouri. Collaboration across the state has made it possible to provide doctors and pharmacists with important clinical information that improves quality and saves lives. An estimated 180,000 individuals in Missouri are addicted to prescription painkillers, and drug overdose deaths in the Kansas City area have quadrupled over the past decade. As many in our region already know, Missouri has had the dubious distinction of being the only state in the country without a statewide PDMP. 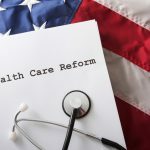 Although an executive order recently established a statewide PDMP, its implementation is unclear, and the proposed system does not provide clinical data to doctors for decision-making. In addition to reducing the supply of prescription drugs in the hands of addicts, a PDMP improves patient care and appropriate use of painkillers. Given the new pain management guidelines from the CDC, the rise in opioid addiction, and the increased scrutiny on prescribing, doctors must rely on their instinct and patient relationship to determine the best medication for a patient. Without a PDMP, doctors who see a patient for the first time often do not know what medications an individual has been prescribed in the past. Research shows that in these cases, minority groups and the poor are less likely to get opioid medications, even when it is clinically indicated. A PDMP would allow these doctors to more confidently prescribe the best medication to a patient, without the fear of enabling an already present, yet concealed, addiction. Like any new process, it will take time for doctors to modify their clinical workflow to include the use of the PDMP. Health Forward is supportive of efforts to expand the overall system and its use by prescribers, including outreach to train doctors on the use of the system and the risks of opioid abuse. 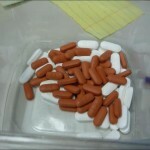 Prescription drug abuse and PDMPs have been a policy priority of Health Forward for many years. For 2018-2019, the issue remains a Tier 2 policy agenda item as we focus on the expansion of the regional PDMP to Lafayette and Cass counties. Covering the entire state of Missouri with a statewide PDMP remains our long-term goal, and we believe strengthening the regional system is an important step in attaining that goal. As we focus on the expansion of the regional PDMP as part of our policy agenda, Health Forward also continues to participate and fund programs to prevent and treat substance use disorders. A PDMP is an important evidence-based tool that can be used to reduce addiction and improve patient care. We remain committed to a robust substance abuse prevention, treatment, and recovery support infrastructure accessible to all Missouri residents. Read the full policy agenda.